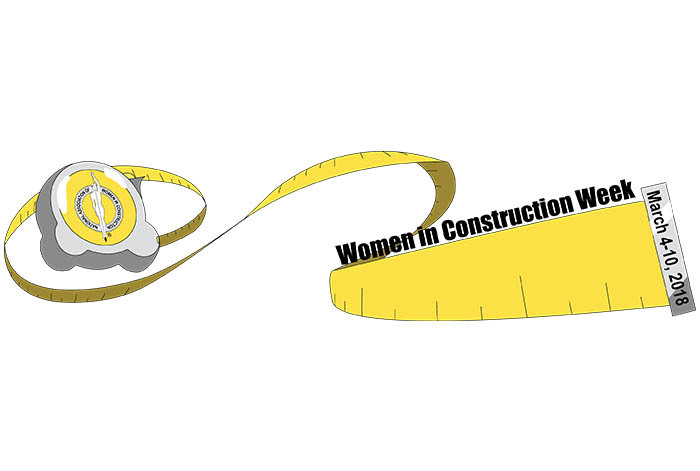 Over 120 chapters and more than 4,000 members of the National Association of Women in Construction (NAWIC) are concluding their participation in the annual Women in Construction Week, March 4-10. “WIC Week” highlights women as a “visible component of the industry” and raises awareness about the growing role of women in construction. It coincided with International Women’s Day on March 8. Participating ARTBA members included Granite Construction, RK&K, Colas USA, Louis Berger, Lane Construction, Wagman, Inc., and several ARTBA chapter affiliates, among others. They have shared social media posts, including photos of women on job sites, and highlighted how women are making significant contributions to their firm or agency. Women in the U.S. earn 81 percent of what men make, however, the gender gap is much narrower in the construction industry, where women earn an average of nearly 96 percent of what men make. Still, women make up only 9 percent of the construction industry workforce. ARTBA’s Women Leaders in Transportation Design & Construction Council promotes leadership and career advancement for professional women in the transportation design and construction industry through networking, mentoring, recognition and educational activities in partnership with the association’s other stakeholders. ARTBA members are encouraged to highlight the women leaders at their firm or agency by making nominations to the appropriate award. The 2018 deadline is Aug. 3. The Women Leaders Council also will host a May 15 general session at the annual Federal Issues Program/Transportation Construction Coalition Fly-In in the Nation’s Capital. The session, moderated by ARTBA Chairman Matt Cummings, will feature women executives from the transportation design and construction industry. Register for the 2018 FIP/TCC-Fly In.